“Education Innovation” could mean something different for an educator, a technologist, a corporate and for students. In this constantly evolving sector, we must find ways to accommodate changes in institutional demands, demographics, technology, student needs, pedagogical trends, political pressures, employability and other challenges. If the robots are coming to change the nature of the world of work, how can the education sector respond? How can the sector today help create a workforce that can do tomorrow’s jobs? To what extent can education technology help? Are universities adequately equipped to be as agile as they now need to be? Where the opportunities for foreign collaboration? 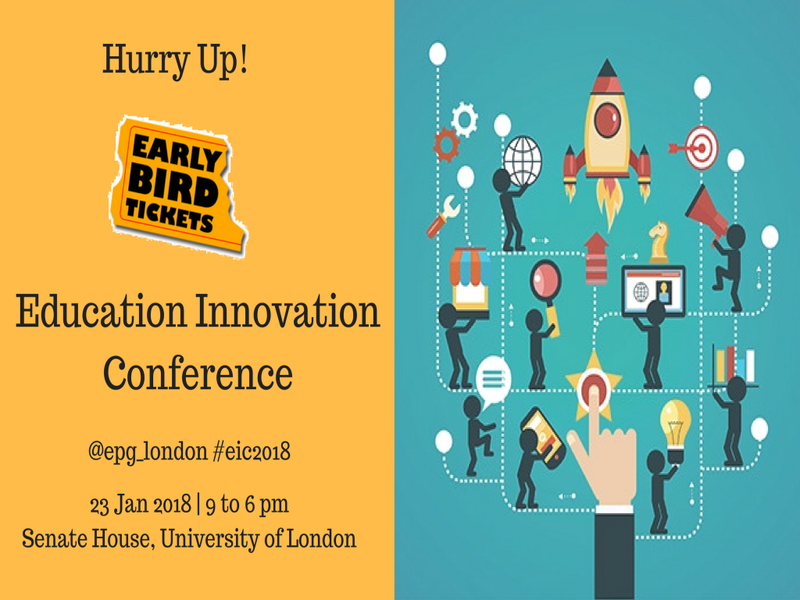 Join EPG and the University of London to discuss these ideas at the Education Innovation Conference on 23rd January 2018. The last two years of the EIC have seen major delegations of Vice Chancellors, skills providers, leading public policy thinkers, ed-tech companies and investors from around the world attending to discuss collaboration in this area. Our confirmed speakers include Dr. Joanna Newman MBE FRSA (Secretary General, Association of Commonwealth Universities), Andreas Schleicher (Director for the Directorate of Education and Skills, OECD), Lord Karan Bilimoria CBE (Chancellor, University of Birmingham). The EIC Debate will be on "This House believes the UK is losing its position as a pre-eminent global education powerhouse", and there will be other Innovation Showcases for leading ed-techs. We are expecting 200 attendees from a dozen countries. To speak at the event, email Rekha at rekha@economicpolicygroup.com. To sponsor, email Ajith at ajith@economicpolicygroup.com.